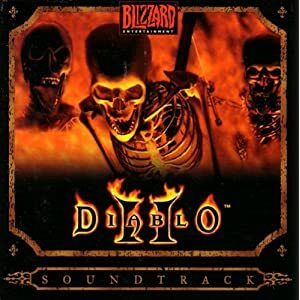 I think this one is stronger than the first Diablo, not to mention there are lots more tracks 24 compared to 6. The moods tend to be similar to the first, suspensful and creepy, but the voices have changed giving the tracks different feel. Instead of just “catacombs” and “crypt” there is “spider”, “jungle”, “desert”, “docks” and more as well as the basic “crypt” and “tombs”. Some of it is still alittle too cheesy for my taste, but I’ll let you check it out. Over all I say its pretty good, best used for filler, leave the important moments to really good composers with real instruments because they achieve a sound that can’t compare to a video game soundtrack.